“I see the potential for some great witches and wizards in this room” announced the Potion Master as we all sheepishly took our allocated seats in the class. 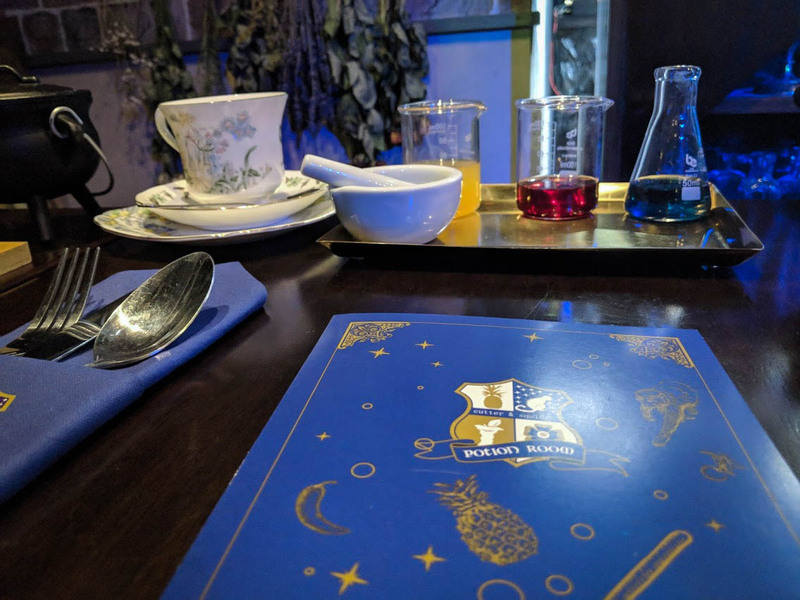 No, sadly, my letter to Hogwarts had not finally arrived, but this was the next best thing – a wizard-themed immersive afternoon tea based around the idea of a potions class. 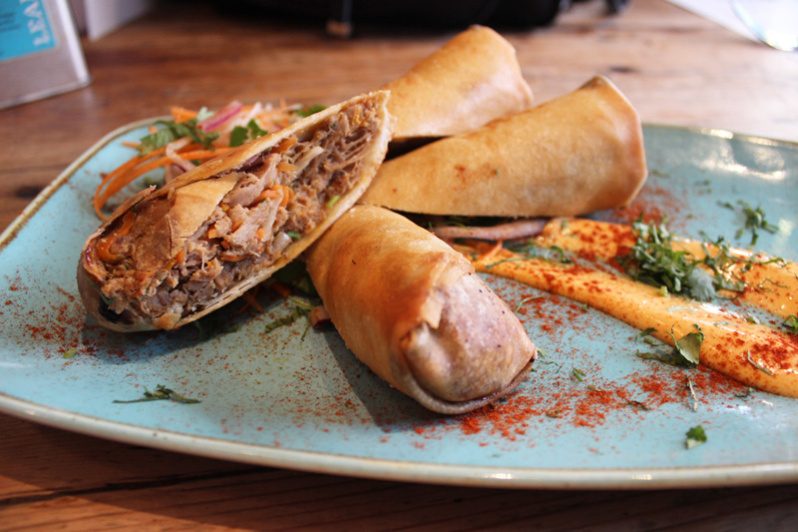 Based below a colourful tea shop in Brewer Street, London is Cutter and Squidge’s latest hit afternoon tea – The Potion Room. 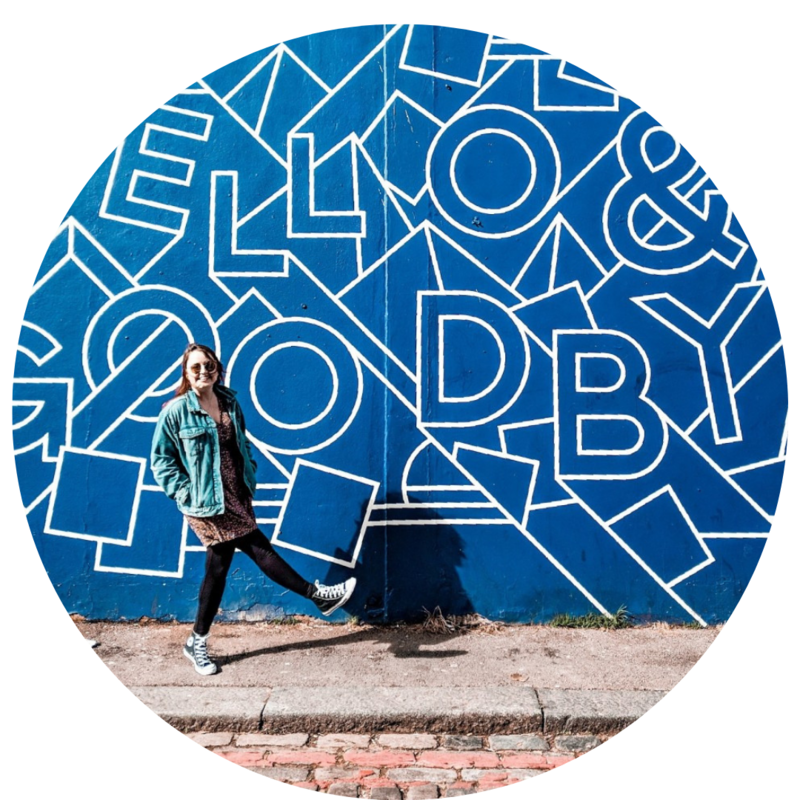 Having previously hosted the Genie Afternoon Tea, this independent cake shops latest venture is based around the Wizarding World and has been such a success, it has been sold out for months. 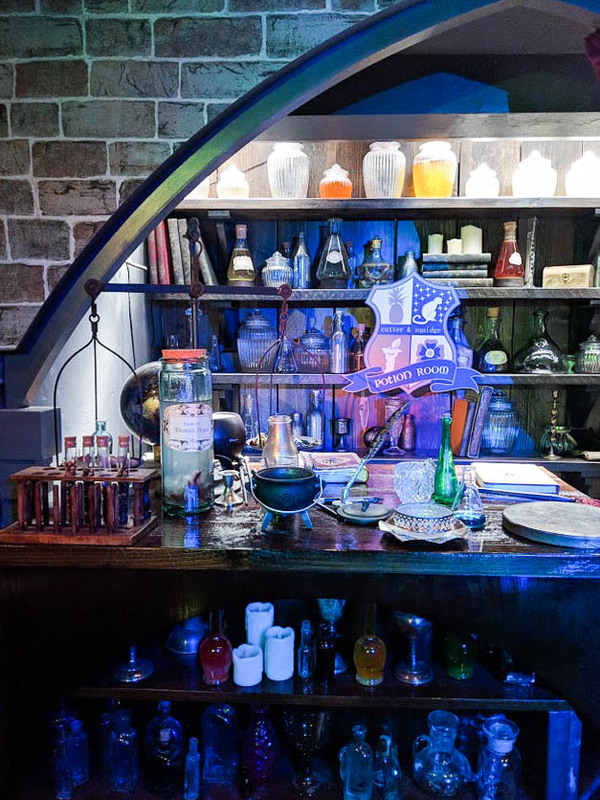 On arrival, you are invited to attend a potions class at the Secret School of Wizarding Alchemy, complete cloaks and wands to complete your magical transformation. Entering the classroom, you will quickly realize the effort which has gone into this immersive afternoon tea, and therefore understands the £49.50pp price tag, the eye for detail is incredible. Potion bottles line the walls, each individually labelled. No detail has been spared inside this classroom, so much so it would not look out of place in the films about a boy who lived. I far too eagerly reach for my wand hung on the wall next to me and don my cloak despite the 28-degree temperatures outside, keenly waiting for the next instruction. Our class is lead by a female Potions Master, one who does an honour to all the great Potion Masters before her, never once does she drop character or enthusiasm. Choosing our tea of choice, Exlir of Life for me and Unicorn Tears for Jenny, we are quickly informed tears of Unicorn are only collected through laughter and no Unicorns are harmed in the process – I breathe a sigh of relief. Next, it is time to raise our wands and learn our first potion, Hubble Bubble Cauldron cake, a meringue-based lemon cake which quite literally pops in your mouth, very much one for those with a sweet tooth. 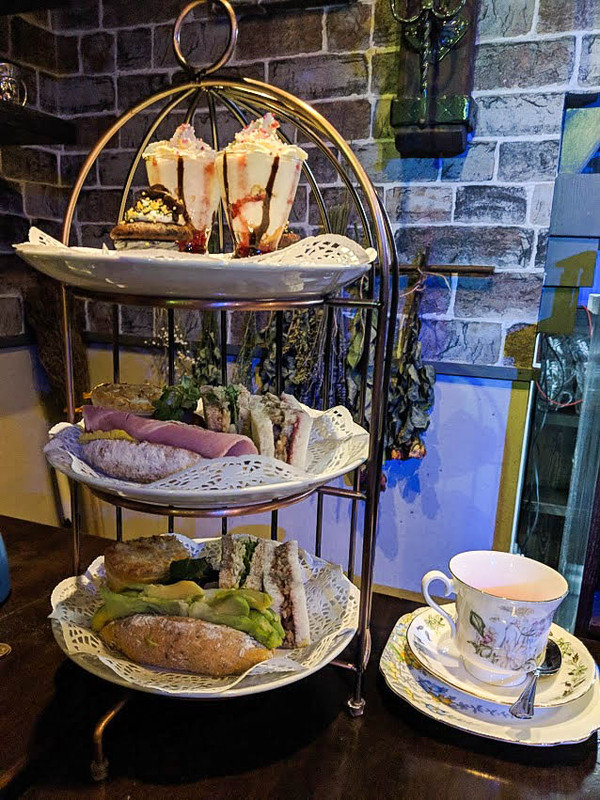 The actual afternoon tea portion of the experience is much the same as most others, with a selection of sandwiches and cakes – all wizard themed, of course, my favourite being the Butterscotch Biskie. With regards to standards, the cakes are far superior to many afternoon teas I have had across the city, but seeing this is what Cutter and Squidge are known for, it does not come as a surprise. 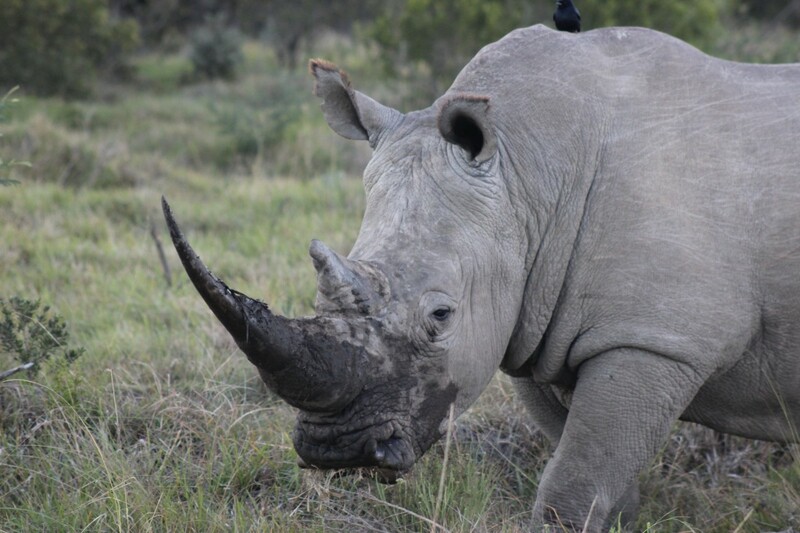 During this time there is a nice level of interaction with the Potion Master, which for us including a bizarre conversation regarding an underwhelming pregnancy scan on a Rhino, but also time left to talk and enjoy the experience with the person/people you have come with as well. Throughout the experience, you are asked not to disclose certain events which happen in the Potion Room, in order to keep the magic alive and leave some surprises for future pupils, so in true good Witch fashion I will not write about them here, but I will say they are really special touches and you will not leave empty-handed. As the experience draws to a close, the Potions Master informs we have all passed the class, a sigh of relief was let out from many of the fellow students, and a cheery chatter filled the room as class was excused. At this point, I very reluctantly handed back my wand and cloak and exited up the stairs to the muggle world above. 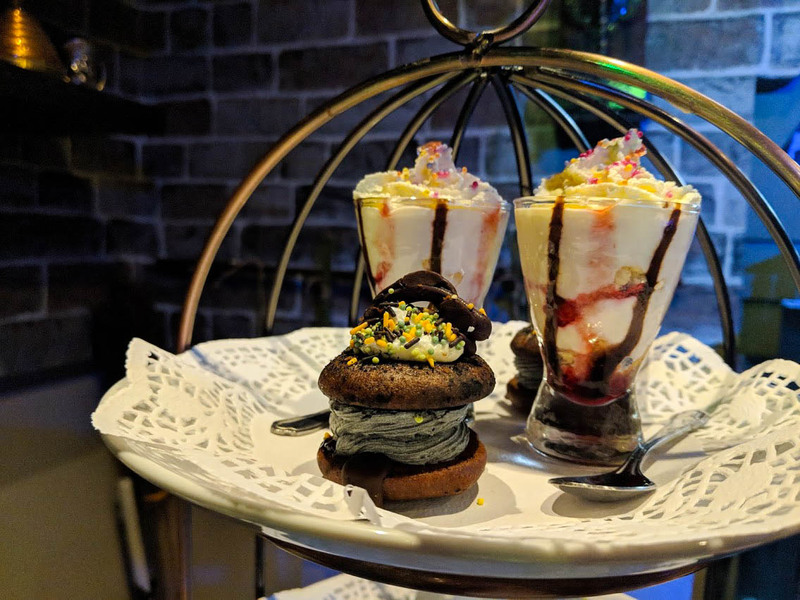 Cutter and Squidge have created an immersive afternoon tea that any witch or wizard would be proud of, something different, indeed magical, and definitely needed in a city where afternoon tea is already incredibly overdone. For a special occasion, The Potion Room is worth the higher price tag, and I for one cannot wait to see what their next venture will be.